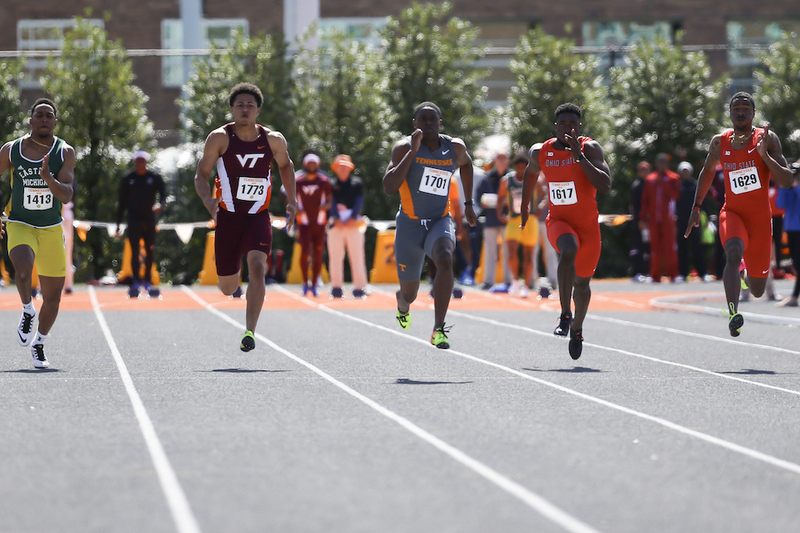 Last Friday, Christian Coleman won the 100 meters at the Tennessee Relays at Tom Black Track. His time, 10.03 seconds, was almost a tenth of a second slower than his personal best, set last summer in the United States Olympic Trials. But it tied the school record he set in 2016, and for a meet in early April, it’s an impressive mark—the fastest time by an American so far this year and the fifth-fastest time in the world. Coleman, a 21-year-old junior from Atlanta, concluded the weekend on Saturday with explosive legs on UT’s winning 4×100 and 4×400 relay teams. 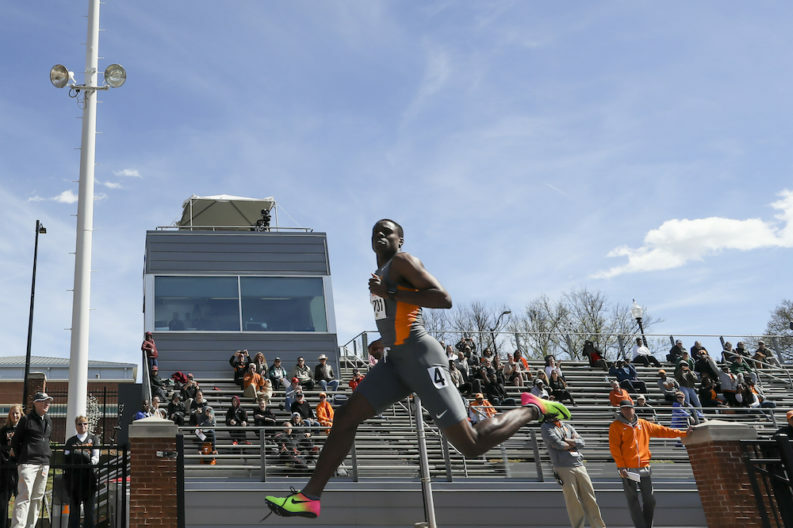 Combined with his historic performance at the NCAA indoor championships in March, his Tennessee Relays results confirm him as the first superstar in Beth Alford-Sullivan’s rebuilding program. Coleman is now an overwhelming favorite to win the 100 and 200 meters at the NCAA outdoor meet in June and a legitimate long-shot contender to make the United States team for the IAAF World Championships in London in August. For the last two years, Coleman has been running in the shadows of an emerging generation of American sprinters: 2016 NCAA champ Jarrion Lewis, World Championships bronze medalist Trayvon Brommell, high-school phenom-turned-teenage pro Noah Lyles. In the space of just a few weeks, Coleman has established himself not just as part of that new wave of U.S. sprinting but also as one of its most promising members. Coleman accomplished plenty in his first two years at Tennessee: An SEC championship, the NCAA indoor 200 meter title in 2016, a school record in the 100 meters, multiple All-SEC and All-American honors. He finished second to Lewis in the 100 and 200 at last year’s NCAA outdoor championships and placed sixth at the U.S. Olympic Trials in the 100, running a 9.95 personal best and earning a spot on the relay team for Rio. But few experts predicted Coleman’s overwhelming dominance at the NCAA indoor meet in March. There, he won the 60 meters in 6.45, tying the college record; his winning margin of .09 seconds was the biggest in the history of the meet. An hour and a half later, he won the 200 meters in 20.11, just a hundredth of a second away from the college record and the third-fastest time ever. He was just the third man to ever win the indoor sprint double; the last was former Vol and Olympic double gold medalist Justin Gatlin, in 2002. In its most recent issue, Track and Field News (“The Bible of the Sport Since 1948”) named Coleman the male world indoor athlete of the year. It’s a time of transition in world-class sprinting. Usain Bolt, the world-record holder since 2008, has announced that he’s retiring at the end of the 2017 season. His main challenger in recent years has been Gatlin, who is 35. The best candidates to replace them are in their early 20s, meaning the sport is more wide open than it’s been in a decade. Coleman’s a long-shot to make the team for London, much less to medal; his lack of experience at world-class meets and the long, grueling college season will probably work against him. 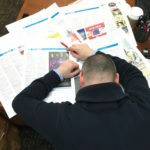 But this year, and probably for the next few years, anything can happen. There’s a big shift coming, and Coleman’s in good position to take advantage. And it’s unlikely that anybody will overlook or underrate him again any time soon.